Lesley spent the last ten years in Yellowknife and is now back in Toronto working on her Masters in Film Production at York University. Her previous educational background includes environmental, wildlife and political studies. 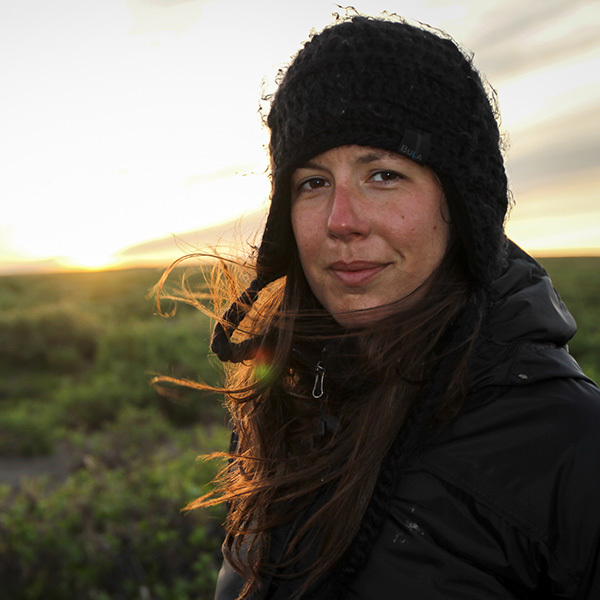 She became a filmmaker during her time in the North, training in Yellowknife, Amsterdam, and the West coast of Canada. Lesley’s past experience includes working on the film adaptation of author Richard Van Camp’s book of the same name ‘The Lesser Blessed’. She was co-creator for a series of cultural workshop videos for BHP Billiton, and is currently working on an interactive web documentary about the Giant Mine remediation, titled ‘Shadow of a Giant’ with director Clark Fergusen and SOS New Media. Lesley is an active member of the NWT Professional Media Association, Western Arctic Moving Pictures, Women in Film and Television, Cinema Politico, the Documentary Organization of Canada, and was the Director of the Yellowknife Film Festival for several years. My dream projects involve shooting wildlife, and being out on the land with good people. For my next project, I’m hoping to shoot caribou. Also, if you put Benicio Del Toro in front of my lens. I really wouldn’t mind. It’s hard to pinpoint a specific shoot, each one is very special in its own right. Being up at a whaling camp on the arctic coastline was a once in a lifetime experience. Dreaming, scheming, thinking, watching, reading, traveling, camping, bike riding, cooking, and imagining I’m better at sewing and “being handy” than I really am. Passionate creators, social change instigators, strong women who blazed a path for me, and Tank Girl.